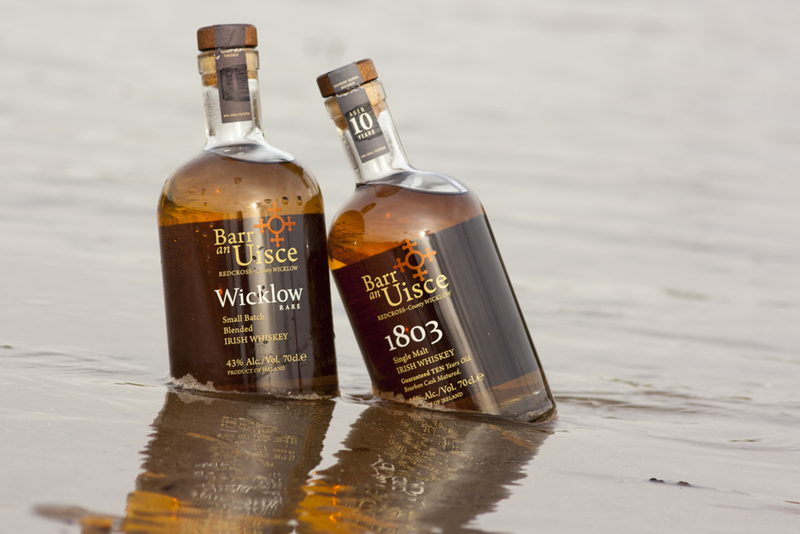 The Irish words “Barr an Uisce” literal English translation is “above the water”. 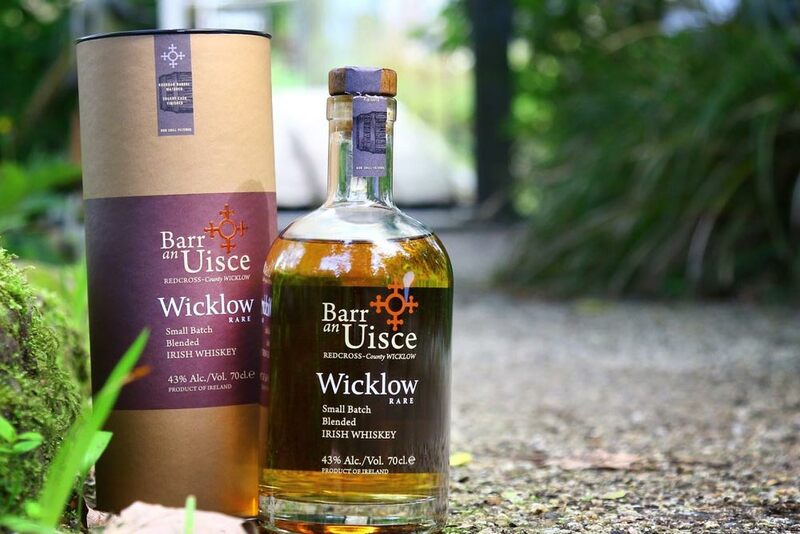 It is also the Irish name given to Barraniskey, which is a town land set in the heart of the beautiful County of Wicklow, on the East Coast of Ireland. Known as the Garden of Ireland, Wicklow represents all that is stunning in Irish countryside shaped by glaciers many years ago. With its fresh water streams, rolling hills, lush forests and majestic views, it offers all that is expected when we think of Ireland. The founder of “Barr an Uisce” Irish Whiskey, Ian Jones, comes from a small village called Redcross which lies just below the town land of Barraniskey in County Wicklow. Redcross, has an interesting history. It was a major stopping point for horse and carts travelling from southern Ireland to Dublin. People who travelled along the East Coast of Ireland found themselves in Redcross. It became a meeting point for gossip, news, culture and music. The village of Redcross and the town land of Barraniskey were both affected by the penal laws many years ago and in 1803 the Barraniskey church was built. The copper coloured Cross still stands in the graveyard in Redcross to this day. This copper cross was the inspiration for our Logo. 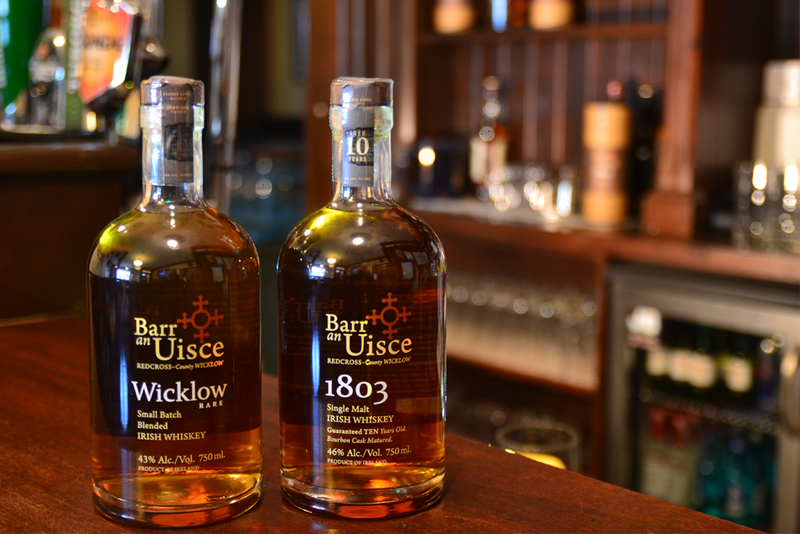 Barr an Uisce whiskeys are a celebration of that old traditional Village pub, the hub of the community and are the first Rural Irish Pub to launch their own Whiskey. Ian’s family history dates back to the 1800’s in Redcross and his family have a long history in the Pub business. Ian’s great grandfather, Tim Dineen, owned a rural family pub in a place called Peak in County Cork, which is on the south west coast of Ireland. Following in the family tradition, Ian’s family-run pub in Redcross, set in the rolling hills of County Wicklow, is a hub of Community activity and life – over one hundred years on from his great-grandfathers story. It is in this pub in Redcross where friends and families come together and enjoy music and laughter in a typical Rural Irish pub. THE FOUR TYPES OF IRISH WHISKEY – Legally, Irish whiskey can fall into one of four categories. Flavor profile: Varies, but generally smooth, mellow, and silky. 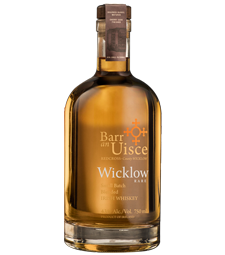 A blend is mixture of two or more styles of Irish whiskey. There are no specific names to differentiate between blends made from malt and grain, pot still and grain, malt and pot still, or even malt, pot still, and grain. We are committed to developing long-term relationships with our distributors and suppliers in all 50 states. Take the time to experience Vision Wine and Spirits, and discover a whole new world of flavor. Vision Wine and Spirits is a company dedicated to open, long-term relationships with its suppliers, building brands and bringing new and innovative products to the market for the wine & spirits trade and consumer at competitive prices. A DIVISION OF MARTIGNETTI COMPANIES - An independent family owned business since 1908.